A complete walkthrough for Mt. 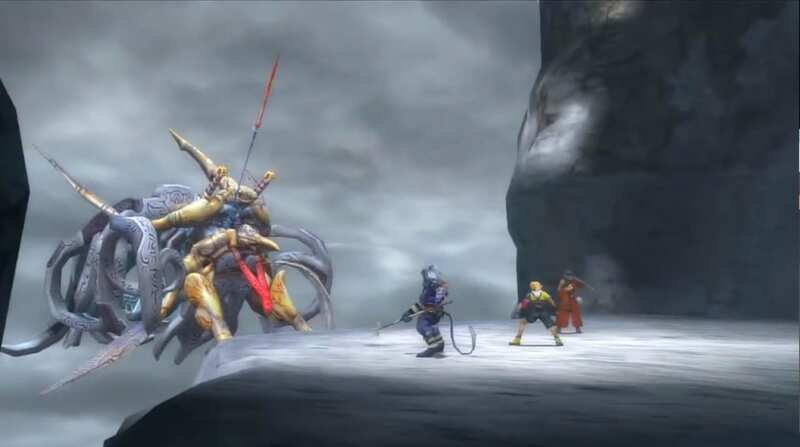 Gagazet in Final Fantasy 10 (FFX), including enemies encountered, obtainable items, and boss strategy guides. Watch the cutscene going down the pathway to Mt. Gagazet. Save your game via Save Sphere. Then, proceed along the Mt. Gagazet pathway. Before you proceed further, make sure that Kimahri’s Sphere Grid is well leveled. In addition, make sure Kimahri has learned Steal and Mug. Boss battle with Biran and Yenke commences. You can Steal a Level 3 Key Sphere and receive Return Sphere aor Friend Sphere from the battle. Return to the previous Save Sphere to save your game. Proceed down for another cutscene. Look for a Treasure Chest to the right of the mountain trail. Pick up 20,000 Gil. There’s another Treasure Chest on the left. Pick up two Mega Potions. Proceed downward even further until you reach the north path. Proceed north until you pick up a Braska Sphere. Watch the cutscene. Speak to Wantz, O’aka XXIII’s brother. Purchase a Booster Cactuar for Lulu and Survivor for Rikku. Also buy 30 stacks of Holy Water for you to add the Zombie Ward ability to an item and 30 Phoenix Downs. If you are already overweight, sell your lesser items to Wantz for more space. Boss battle with Seymour Flux. You can Steal an Elixir and receive a Level 4 Key Sphere from the battle. Watch a cutscene after the boss battle. Continue down the path. Locate a Treasure Chest hidden between pillars along the pathway. Get the Saturn Crest. Save your game at the Save Sphere. Watch a cutscene. Proceed across the bridge and through the doorway. Another cutscene occurs. Biran’s Skills: Thrust Kick, Self-Destruct, Doom, and Mighty Guard. Yenke’ Skills: Aqua Breath, Stone Breath, Fire Breath, and White Wind. You will be unable to hit them with normal attacks since both bosses will permanently be on Guard. Continuously use Lancet until you acquire all of their abilities. Then, if there is an Overdrive available, use Kimahri’s Ronso Rage. Once Biran or Yenke use Bulldoze, Steal or Mug to get as many Level 3 Key Spheres as you can. If you defeat Biran first, Yenke will use Haste. If you defeat Yenke first, Biran will have a permanent Berserker status. Defeat them with your normal attacks, abilities, and Overdrives. This is another boss battle with Maester Seymour. 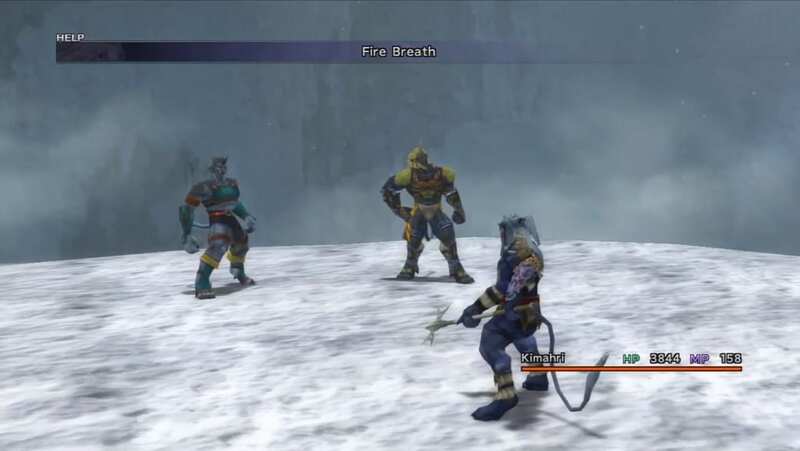 Yuna and Kimahri will be able to activate their Trigger Commands for stat boosts. Seymour will summon Mortiorchis and inflict Zombie status to a party member during battle. Make sure that you have equipped armor with Zombie Ward to counter this. Make sure to use a Holy Water, Remedy, or Esuna to prevent Seymour from casting one-hit holy magic on the afflicted party member. Switch to Lulu to cast Bio on Seymour and use Hastega to your party members. 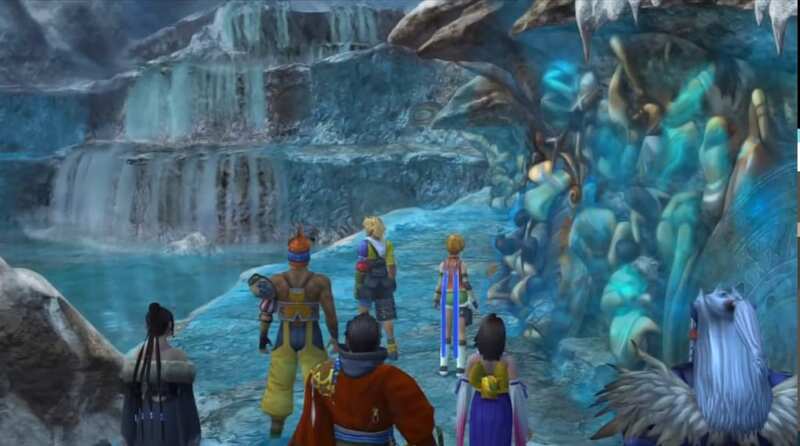 Add-in Yuna to dispel Seymour’s Reflect or Protect abilities. Be careful about the boss’s lethal ability “Total Annihilation.” It takes three turns to charge up and will likely wipe your entire party out. 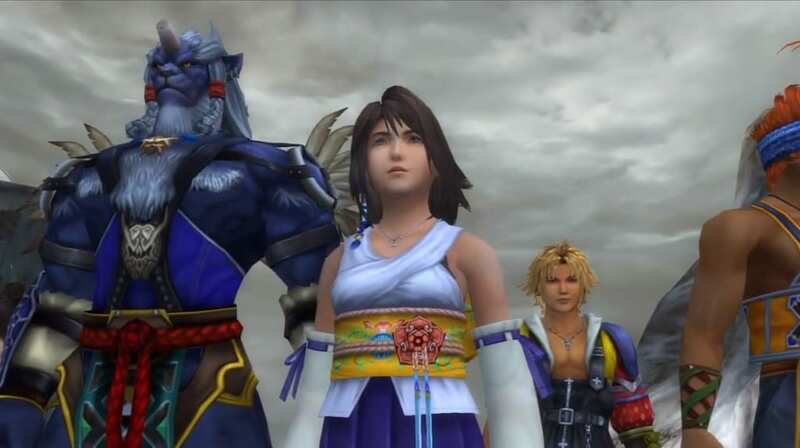 Have Yuna cast Shell to party members while making use of Kimahri’s Mighty Guard and Rikku’s Mighty G, Super Mighty G, or Hyper Mighty G. Defend is also an option as well. Bring down the boss through overdrives, regular attacks, or magic abilities.